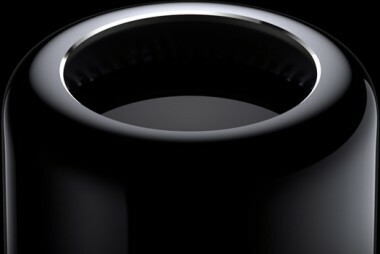 Confirming plans that it announced in October, Apple said today that the Mac Pro, its cylindrical reimagining of the high end of its desktop computer line, will be available for shipping beginning tomorrow. With starting prices of $2,999 and $3,999, depending on which flavor of Intel Xeon processor you select (four-core or six-core in the base configurations, but you can choose up to 12 cores), it has all the maxed-out computing power you could ask for in a Mac. 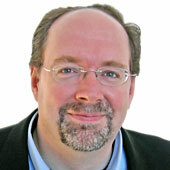 Here are a few specs that caught my attention: The graphics horsepower is considerable. The machine sports a pair of dual AMD-made FirePro GPUs, which, in the minimum configuration, can run up to two teraflops. The options allow you to boost that as high as 3.5 teraflops. And if you’re in the motion-picture business and planning to edit your next feature on a Mac, this machine will support up to three 4K video displays at once. Three screens not enough, you say? Well, if you don’t mind not having 4K video, this machine will drive as many as six Thunderbolt displays at once. A new Mac only generates so much excitement at Apple these days, now that the iPhone and iPad are kind of the kings of the revenue hill. In Apple’s fourth quarter, Macs accounted for only 15 percent of sales, while iPhones and iPads combined added up to nearly 69 percent of sales. Most mainstream Mac consumers, if they’re buying a desktop, have been happy with the iMac. And, indeed, that machine has gotten powerful enough in recent iterations that it can, in its higher-end configurations, be considered a workstation. But there’s still a specialized market for an uber-Mac among those people who work in animation, CAD design, scientific computing and making movies.